Atlantic British Ltd. Repair & Maintenance Academy How-To Video Series: Outfitting a Land Rover Discovery Series II for Off-Road / Part Five - Install Front and Rear Differential Guards: Nowadays you can find a good used and affordable Discovery Series II for $3,500-5K. Add another $3K-5K and you can outfit your D2 for off-road in no time. 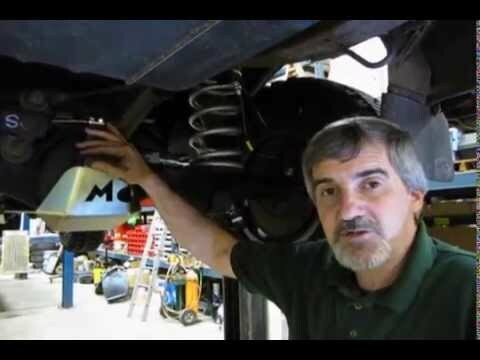 Watch Doug, our Land Rover Master Technician, in Part Five of our video how-to series, as he installs front (https://www.roverparts.com/Parts/TF838) and rear (https://www.roverparts.com/Parts/TF839) diff guards on our project D2. Doug will discuss the importance of adding protection to your front and rear differentials if you intend on using your D2 for off-road. When off-roading, these guards will add an extra layer of protection to your vehicle's underside. Questions about this video? Call us at 1-800-533-2210 or contact us via live chat.